Yes, it's true. Criminal mastermind Artemis Fowl's four-year-old brothers could be involved in destroying the human race. Can Artemis and Captain Holly Short of the Lower Elements Police stop Opal and prevent the end of the world? 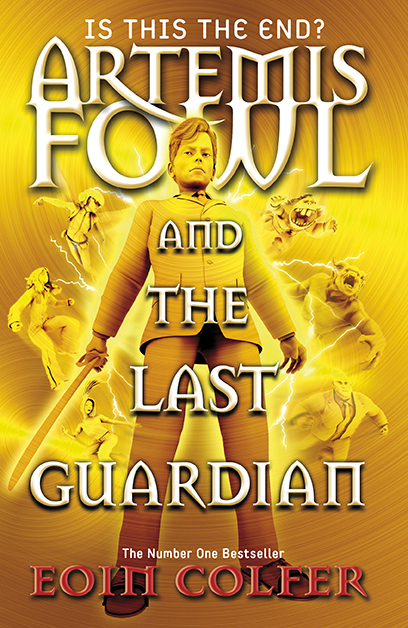 I read my first Artemis Fowl book when I was about eight and I have never looked back since. It was around the same time I first discovered Harry Potter, and looking back on it, Harry Potter is to Artemis Fowl what Emma is to Clueless. 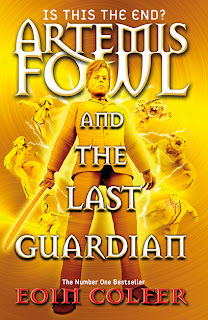 While Harry Potter has everything a girl could ever want in a novel, Artemis Fowl has a certain revelrous, comic element that wouldn't work in Harry Potter, and that I am very fond of. And though I'm nearly eighteen and should be long past the stage of reading flamboyantly ridiculous children's books, I couldn't help but feel a pang of nostalgia and sadness when I heard the series was ending. I must say I wasn't disappointed by the big finale. (Well, I was in one respect but I won't say it for fear of spoiling the book.) It was full of ridiculous inventions, comic dialogue, Opal Koboi being power crazy and Mulch Diggums swooping in to save the day at the last minute, yet again. While Eoin Colfers series will never be Nobel prize winning literature , it does what it sets out to do, which is entertain. Though I'm certainly out of the intended age demographic, it still didn't fail to make me laugh. I may be a bit biased but I think this was the perfect ending to a fantastic series ( apart from that one thing, God it makes me angry !!!!!!!). Definitely a must read if you're a fan of Artemis and his cohorts, but if you're not you'll probably just think it's insane.